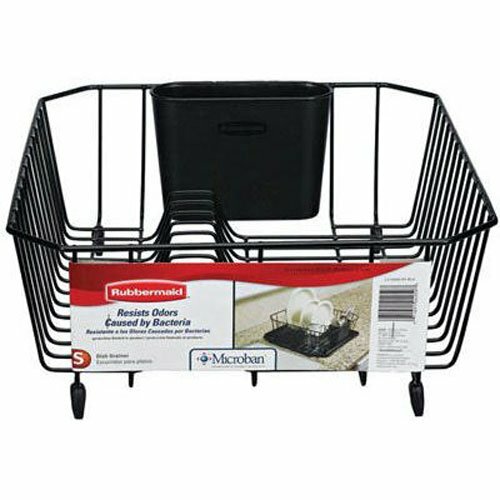 Over Sink & Collapsible Dish drainers for small sinks are ideal for small apartment kitchens with tiny sinks or limited countertop space. 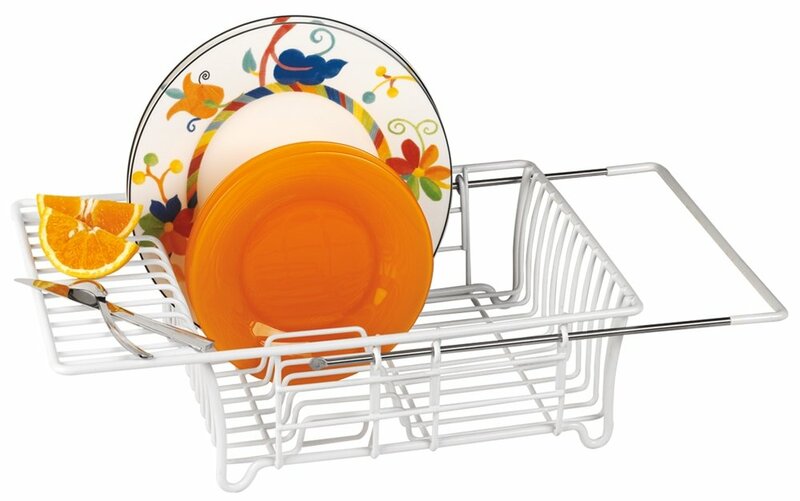 They are also good for individuals who don’t have a lot of dishes to dry. When dishes are not dried properly, moisture usually gets trapped, providing suitable environment where bacteria can grow. 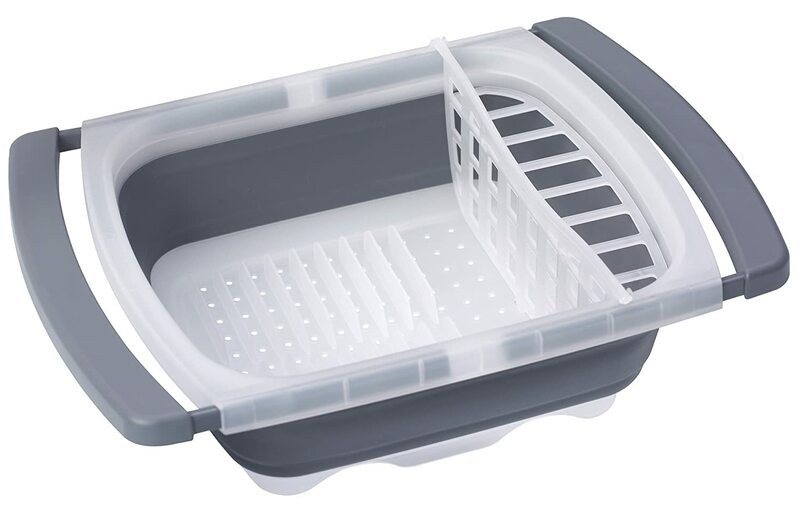 These drainers are a natural way to air-dry cups, blender parts, dishes and other utensils. Air-drying utensils has been found to be more sanitary than some of other drying methods. These racks are made with different materials such as wood, plastic and steel. 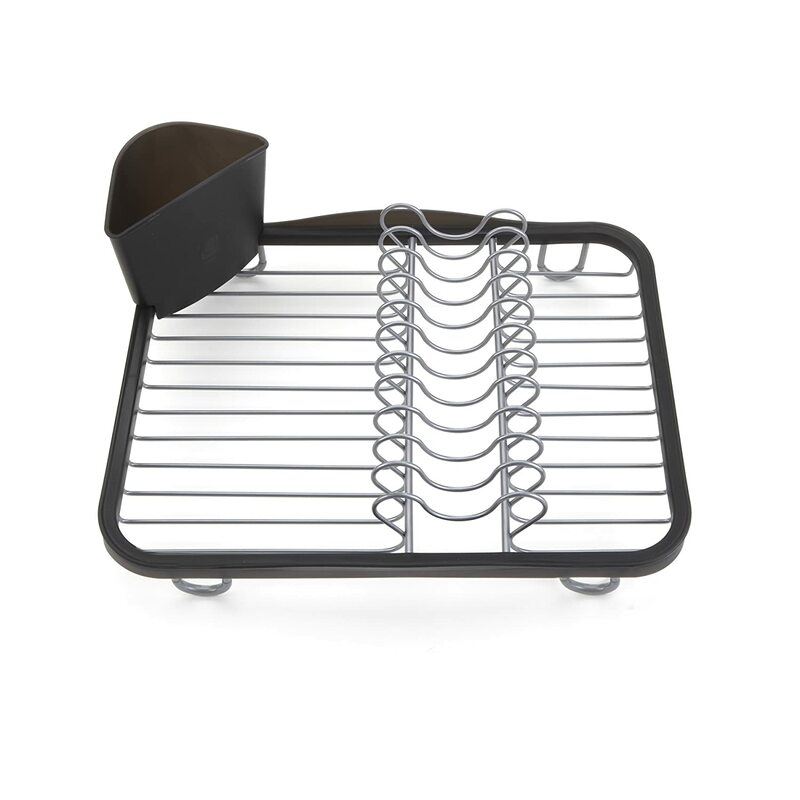 Some of them have built-in anti-microbial protection to help fight growth of bacteria in order to keep the rack and the utensils in a fresh state. 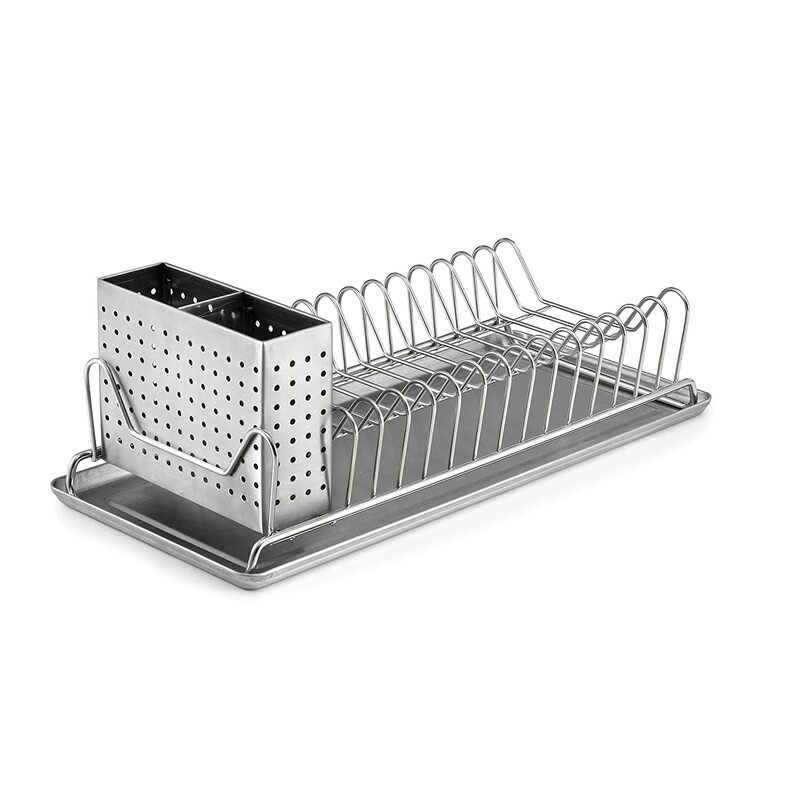 These kitchen racks come in different shapes and designs. Foldable designs usually free up the counter space so that it can be used for other activities. Tiered designs occupy minimal space but are able to hold a lot of utensils. 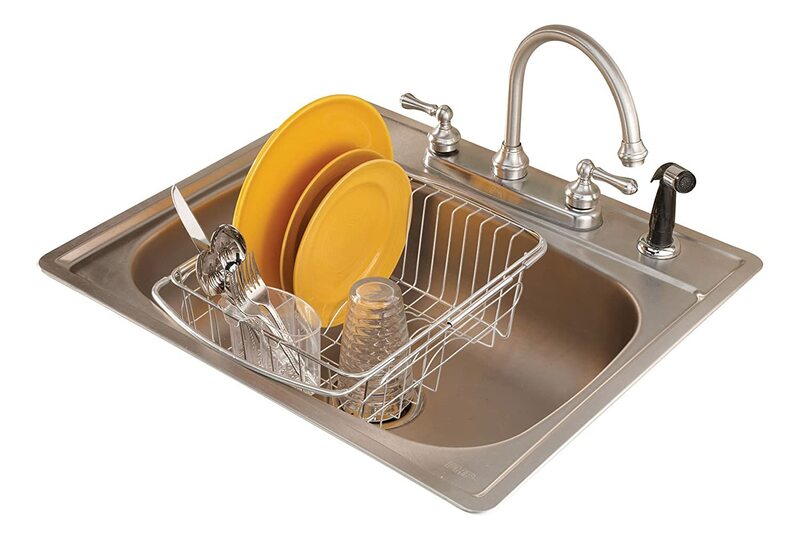 In-sink designs are definitely great space savers. These over-the-sink drainers usually sit on the counter edges and not inside the sink. These are great for deep small sinks. They have an expandable design that adjusts to fit different width. 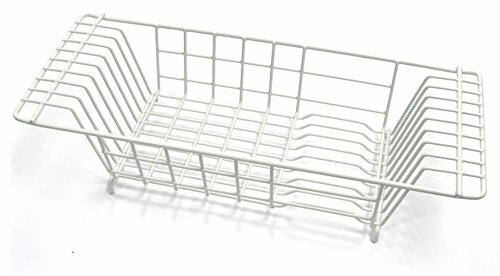 They have grips or bars on both sides of the drainer top that extend to allow for great stability and firm positioning.The racks usually hang over the tiny sink and water drains down inside your sink keeping the counter area dry.Utensils tend to dry faster on these over-the-sink racks, since air flows all around. 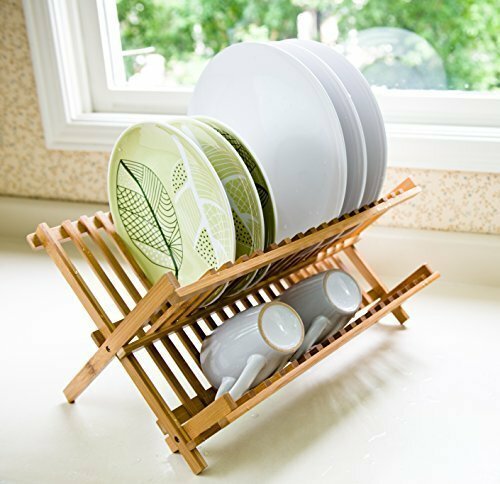 These foldaway dish racks are a great space saver. They easily fold away for storage iunderneath the sinks or in the cabinet. When folded away, they usually give extra counter space for other activities. They are lightweight and great for camping, picnics or any other special occasion. Some of them are designed to fold flat resembling a board and can be stored in a standing rack with other cutting boards. 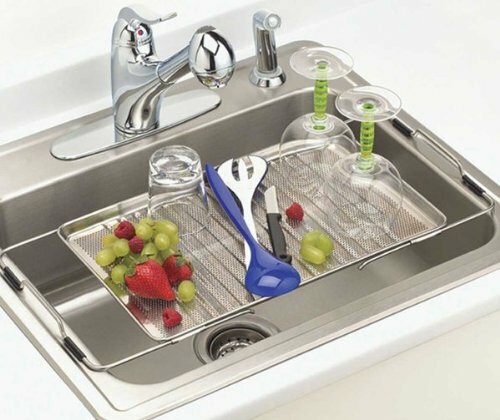 If you are one of those who hate to have clutter on your counter top, these in-sink drainers will help to keep your kitchen well organized. These are designed to sit at the bottom of the kitchen-sink saving the much needed counter area. They are also perfect for those without any countertop area. Apart from being used inside the small-sink, they can also be used on the counter-top area. 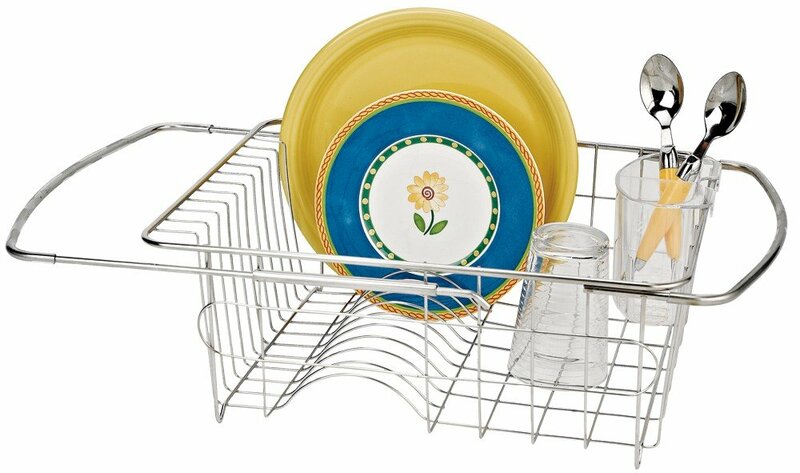 These racks and trays fit nicely over half of most tiny sinks, leaving plenty of room to wash dishes. 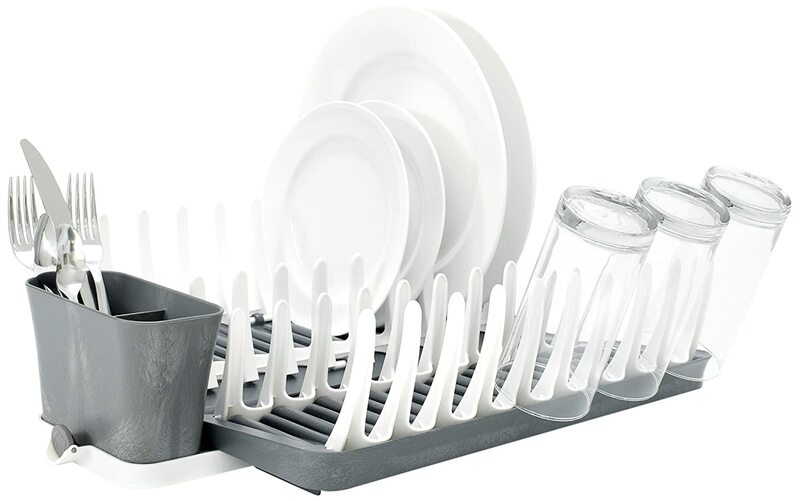 This means that you can still use the sink for other things even while these racks are still in position. They have an adjustable design and you can make them larger or smaller. Since they are designed to be used over-the-sink, there are no drips, water marks or any messes on the working surface. 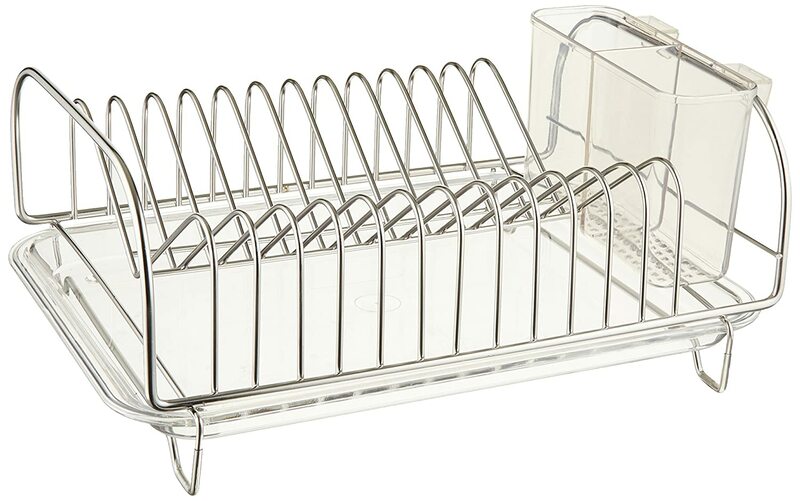 They are great for those with no counter space to help keeps things organized. 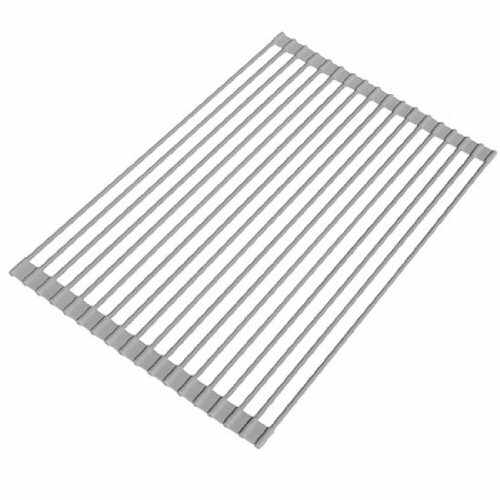 These racks are made with sturdy stainless material. Even when used under damp area, they are usually rustproof. They usually protect utensils from picking rust or any other discoloration. They usually have a narrow design that easily fits in small sinks yet they are roomy enough to accommodate a number of items. 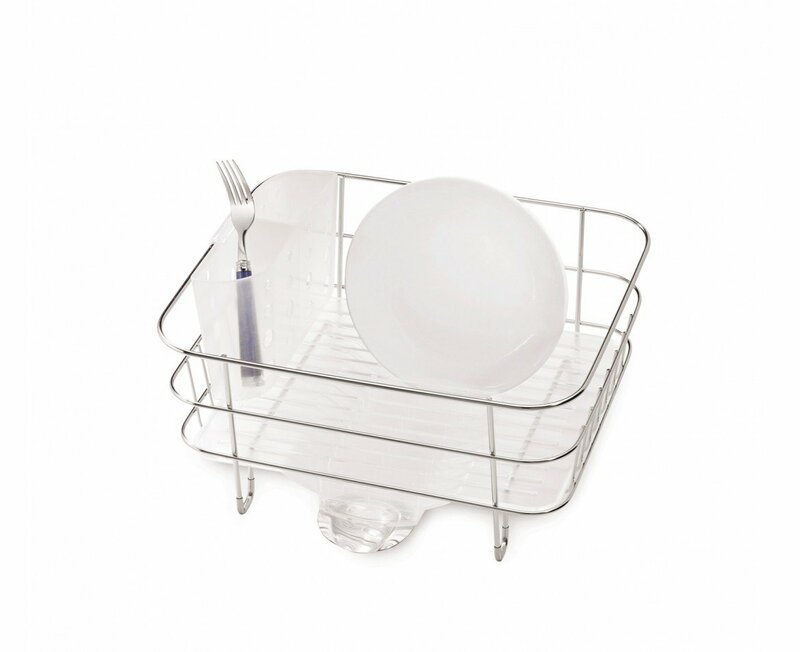 They usually help home owners to stay organized even in limited spaces and allow drying of dishes in one efficient spot. 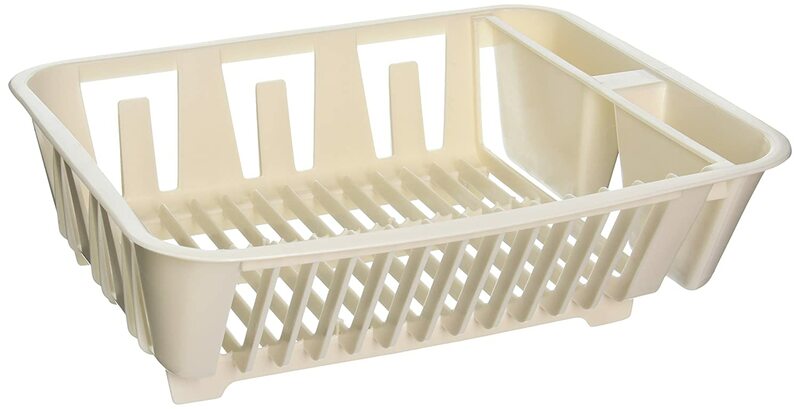 In addition, you can also use these drainers to rinse and dry vegetables or fresh fruits.